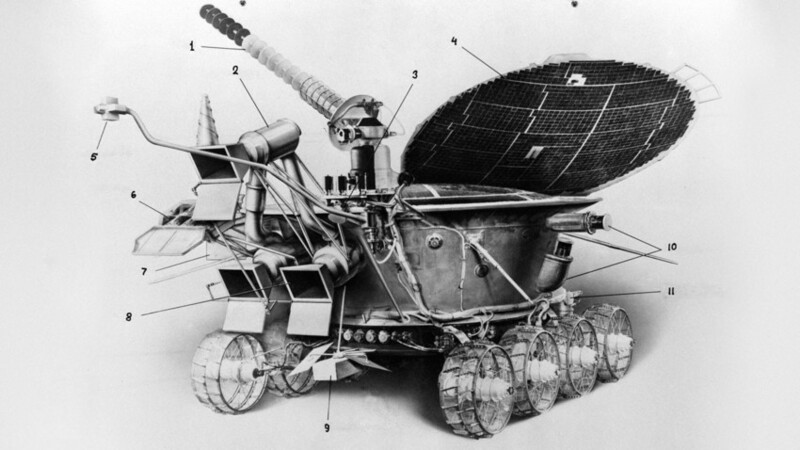 Almost half a century after “Luna-21” landed the Moon the declassified report can be viewed online detailing the problems that derailed the work of the “Lunokhod-2” moon rover. The “Luna-21” space station reached the surface of the Moon on Jan. 15, 1973 – the moon rover “Lunokhod-2” was onboard. From Jan. 16 to May 10 the rover crossed 42 km and sent about 86 panoramic pictures and 80,000 photos back to Earth before it overheated and stopped working after some dust became stuck in its body. Now, 45 year on, the Russian Space Systems company has published a declassified report on the work of the station and the rover. The full text is available in the link (in Russian). The report contains the names of all employees and describes the equipment, mission goals, preparation, research, and survey. Moreover, this unique document outlines all the aspects of the moon rover’s movements, the problems it experienced, and their possible solution. It’s also clear from the file that the mission was the first time information was beamed back from the Moon using an optical-laser channel.